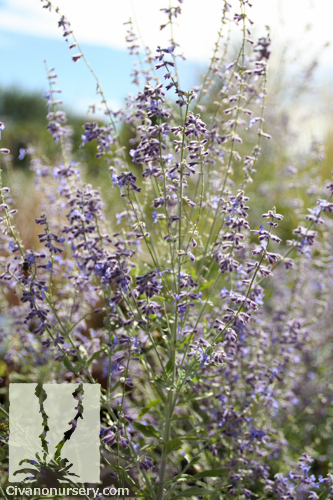 Russian Sage is unmatched in its combination of toughness and opulent beauty. 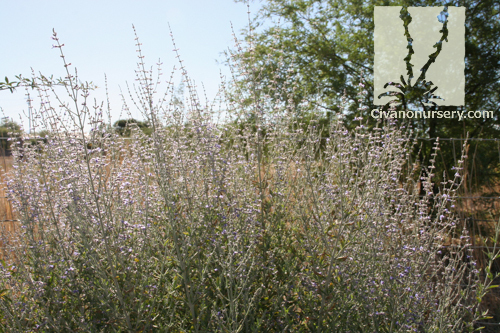 It is well adapted to our arid environment, accepting extremes of drought, heat and cold without skipping a beat! 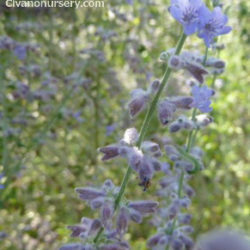 From spring through summer, this shrubby perennial continuously grows long, airy, branching sprays of tiny purple flowers. 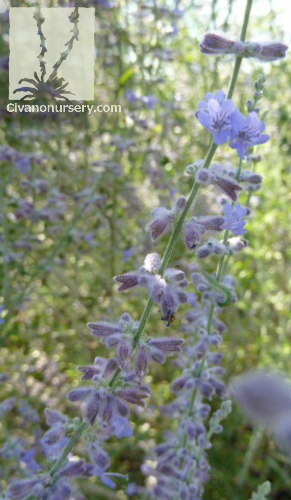 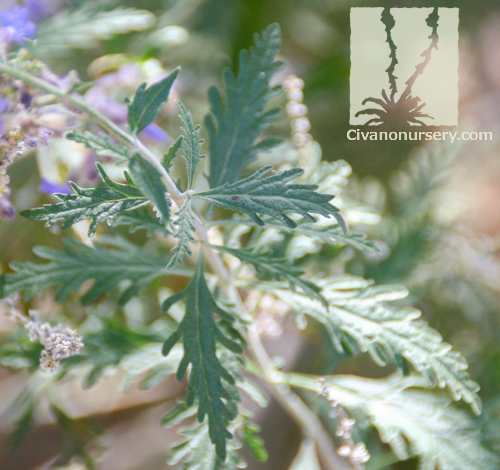 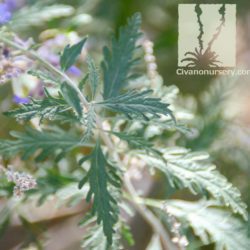 Russian Sage’s grey-green leaves are aromatic and finely toothed, creating a light, delicate effect. 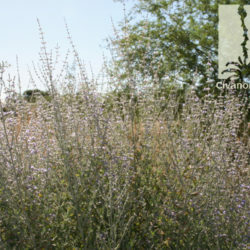 The entire plant is covered in a soft, downy fur that catches light, reflecting it off of the silvery leaves and purple flowers to create the appearance of a glowing, cloud-like haze in the landscape. 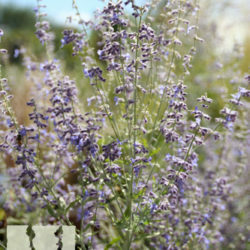 They are particularly stunning when planted in mass, or when placed in front of a deep green background.